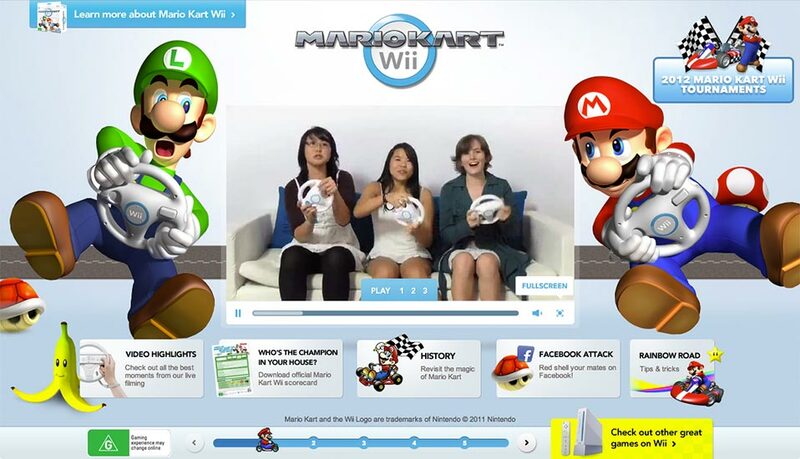 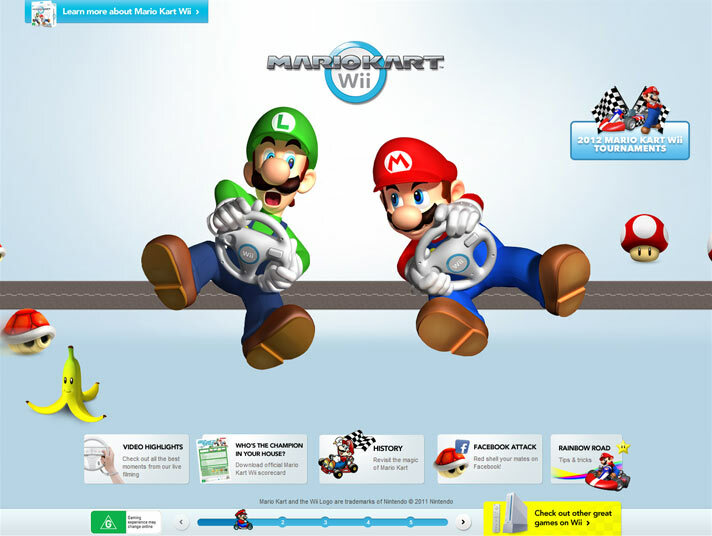 Nintendo wanted to push the limits of what could be accomplished with their latest game site for Mario Kart Wii. 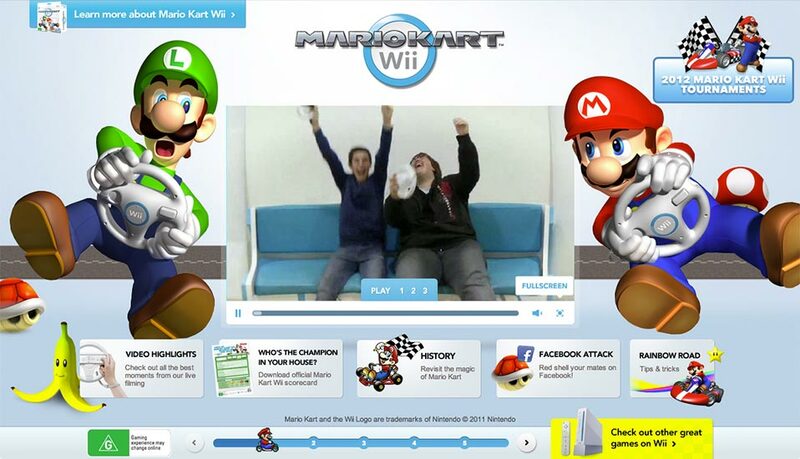 They gave us the vision of pushing the 'three dimensional' envelope, I smashed together a parallax proof-of-concept and we ran with it. 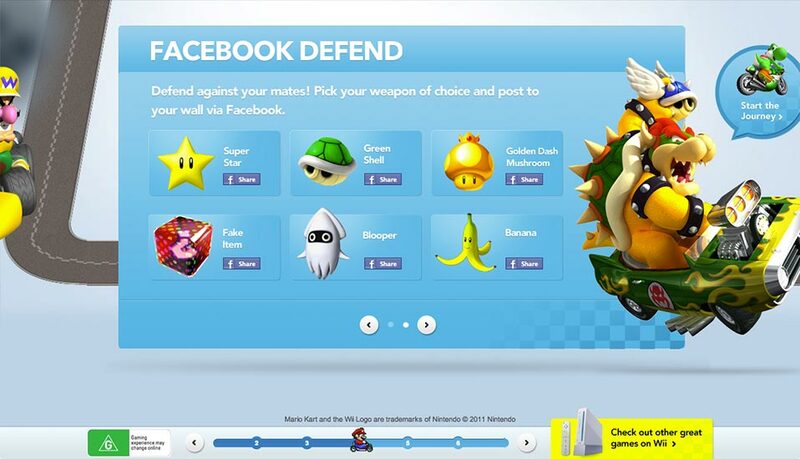 Includes Facebook application to allow users to 'attack' or 'defend' by posting Mario Kart items on friends' and thier own walls, leading to tens of thousands of impressions.